and clone your applications without calibration! 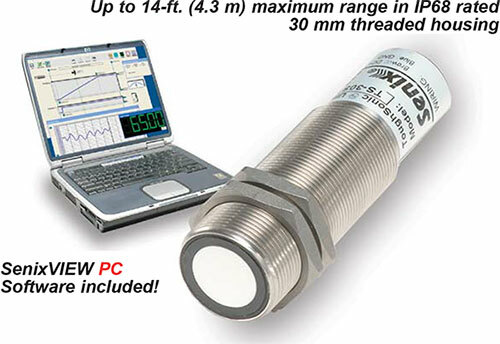 ToughSonic sensors contain a rugged transducer in a stainless steel sealed housing for long life. Outputs are proportional or controlled by measured distance. Damage is eliminated because nothing touches your materials. Numerous applications exist in all industries. Contact Senix today to discuss your specific needs.